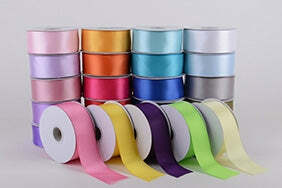 One of the most popular styles of ribbons is double faced satin ribbons. They are loved for their distinctive shiny surface that brands them irresistible for any kind of decor. Available in a huge variety of colors, width and length, these pieces makes a wonderful decoration. Prices Shown are Per Spool Price, Not per Yard.